Our call is to do all we can to change the world. We have a love for people and a passion for them to know the Lord. That's why we founded Jaye Martin Ministries, a nonprofit ministry where leaders are equipped to share Christ and mobilize believers through resources, training and partnerships. 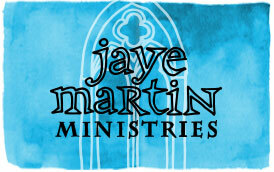 The stained glass window in our JMM logo is symbolic of the foundation of Christ and the local church ministry. The multiple colors indicate the importance of relating in new and creative ways to all nations and cultures in order to reach them with the gospel message. 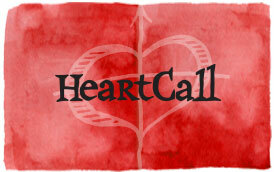 The HeartCall logo is the gospel message in a symbol. The heart stands for HOPE, God has a plan for you. You can BELIEVE in Jesus, because He died on the cross for you. The arrow symbolizes that you TURN to God and away from sin. When you believe in your heart and CALL on Him, God gives you a new heart. HEARTCALL is your call to Christ through prayer. 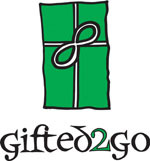 The box in the Gifted2Go logo represents the empty life without Christ (empty box), the importance of a Christ-filled life (cross in box) and the eternal difference we make with Christ in our lives (infinity sign shown as a bow). The Holy Spirit gives each believer spiritual gifts to edify the body of Christ and to use in the church for kingdom purposes. We are given the gift of Jesus to go together and make a difference in the world. Through God's Word, God called Jaye into ministry when she was in her late 20s. Jeremiah 29:11-13 says this, "'For I know the plans I have for you,' declares the LORD, 'plans for welfare and not for calamity to give you a future and a hope. Then you will call upon Me and come and pray to Me, and I will listen to you. You will seek Me and find Me when you search for Me with all your heart'" (NASB). The desire of her heart is for each person to know the hope one can have in Christ, to be able to share that hope and to lead others to do the same. Through the resources, the ministry flows from her heart to others. From Colossians comes, HeartCall Study: Sharing God's Heart, where believers are taught to devote oneself to prayer to God through Christ, that God will open a door for His Word to be shared and that one may live His Word out in what is said and done. HeartCall is your call to hope, believe, turn and call on Christ from your heart. When you do this, God gives you a new heart. Our resources, the HeartCall tract and the new believers' guide, HeartCall New Heart: What it Means to Believe, explain this more fully. The HeartCall Devotional Book has devotionals written by over 300 influential women to help the reader pray and reach those the Lord brings. HeartCall Study: Sharing God's Heart is a six-week course based on Colossians 4:2-6. Students will learn the scriptural basis for praying, how the Holy Spirit works, how to live and how to share the good news of Christ with others. The original HeartCall resources were written by Jaye Martin and published by the North American Mission Board in 1998-2001. The copyrights for all materials were transferred back to Jaye in 2012. We are happy to relaunch this material that has been tested, published in seven languages and used in countries around the world. Gifted2Go resources mobilize believers by helping them discover their spiritual gifts and learn how to serve together as the body of Christ. This study in Ephesians points out the importance of grace through faith, as well as action, as seen in Ephesians 2:8-10. 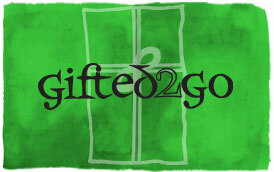 The Gifted2Go gospel card is a free resource to be used as a witnessing card. It includes the good news of the gift of Christ. The Gifted2Go Puzzle: Where Do I Fit In? gift inventory helps individuals determine one's giftedness and how to begin to serve through the body of Christ, the church. Gifted2Go Study: Serving through Spiritual Gifts is designed to take the student through Ephesians, understand spiritual giftedness and see the way believers can fit into the local church. This six-week study includes the gift puzzle. Jaye Martin Ministries partners with churches to equip leaders in HeartCall and Gifted2Go, as well as in other essential areas of leadership development. These leadership topics include God as Leader, mission statements, strategic planning, enlisting leaders, change and conflict, team development and more. Ministry and individual consulting are also available. Let us know how we can help you fulfill God's call. Are you ready to join the movement? We seek to find those who sense God's call to partner with us. For more ways to be involved, email us here or follow us on Twitter @JMM2go, on facebook.com/JayeMartinMinistries or on LinkedIn. Subscribe to our newsletter here.